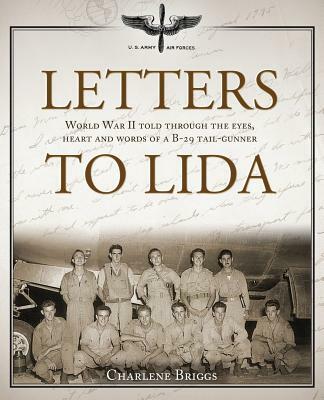 Letters to Lida is an historical account of World War II in the words of a B-29 tail-gunner, Staff Sergeant David Lemal. The story is based on 150 letters he wrote to his mother, Lida, during the war and his re flections, as he read those letters to his daughter, nearly seventy years later. For the first time since his discharge in 1946, Staff Sergeant Lemal shared details of what really happened to him in the war, including his combat missions over Japan. These compelling war stories missed the letters and history books. Letters to Lida illustrates the fortitude of a vanishing generation, many of whom came home and never spoke of the war again. The story offers an inside glimpse into the harsh realities of a soldier's life before, during and after combat and the secrets many of those World War II soldiers never shared. Letters to Lida demonstrates why war lingers in the hearts of soldiers. Those who have served will find themselves here, as will all who have been stung by the tentacles of war. In the end, Letters to Lida is a reflection upon the silent costs of conflict and the power of love to triumph over the indignities of war. Charlene Briggs is an environmental scientist and educator. She currently teaches Environmental Science at Temple University as an adjunct professor. To promote ecological literacy, she facilitates the development of outdoor classrooms, local food networks and sustainable landscapes. She previously worked in water quality assessment for the EPA, government field inspections, Environmental Education and as the Executive Director of a Land Preservation Program and Agricultural Development Council. Charlene is one of 110 Internationally Registered Bach Flower Essence Practitioners. In her Flower Essence therapy practice, she uses integrative plant medicine to help individuals relieve stress, heal trauma and restore emotional balance and vitality. Charlene collaborated with her father, David Lemal, to share his story in Letters to Lida.